An eagles’ nest saved from the East Shuswap Road wildfire remains in place and the eaglets were seen trying to fly from the nest on Saturday, the BC Wildfire Service reported shortly before noon today (July 15, 2018). The plight of the eagle family drew wide attention Friday after flames started shooting up the dead tree on which the nest sits behind Sage Meadows, a modular home park three miles east of Sun Rivers. BC Wildfire Service and Kamloops Fire Rescue crews came to the rescue and managed to put out the flames before they reached the nest. The parent eagles have also been seen back at the nest. Meanwhile, the wildfire is now estimated at 545 hectares, a growth of 45 hectares since the last report, but the increase results from successful burn operations undertaken Saturday, the agency says. Described as a “low-vigour” burn, it helped reinforce fireguards. Dense forest fuels that couldn’t be reached by ground crews because of steep terrain in the gullies were also removed. Today, 103 crew members continue to cool hot spots near the fire’s perimeter in an effort to increase containment of the fire. 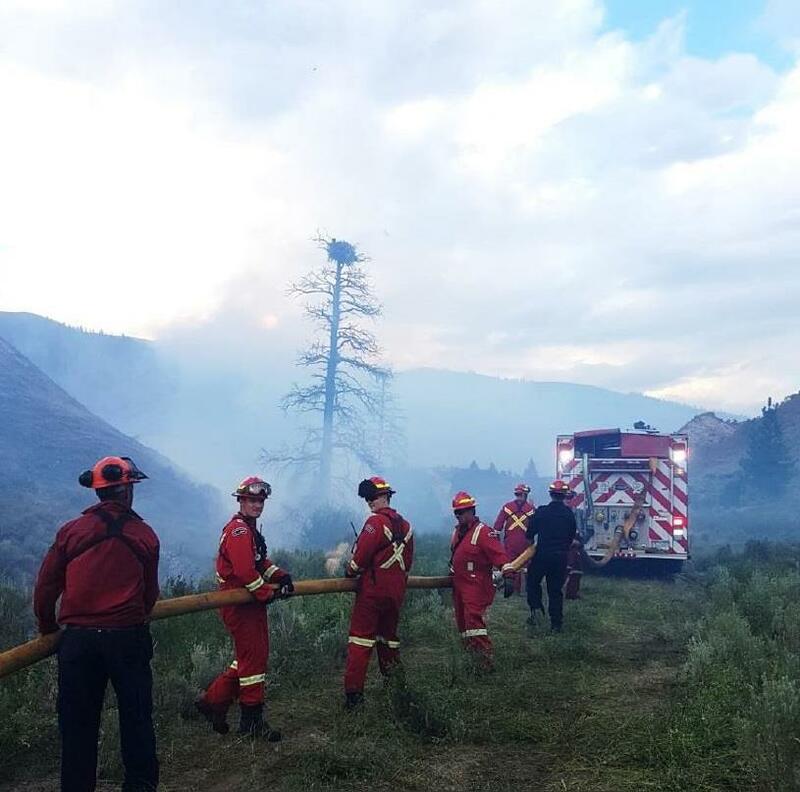 A co-operative attack on the fire has been carried out by BC Wildfire Service, Kamloops fire Rescue and Tk’emlúps te Secwépemc since the fire started earlier this week. 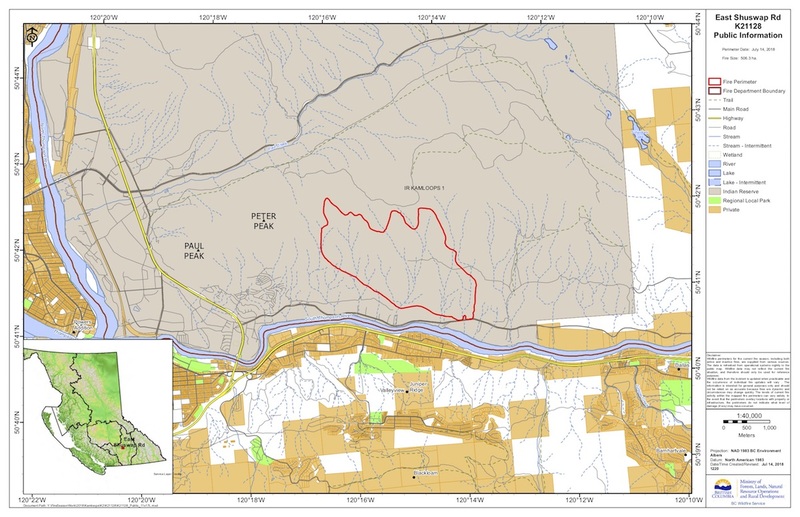 Increased activity on the southeast corner of the fire was successfully contained on Saturday at less than one hectare and without impact to structures.